The GNURadio version used for this is 3.7.9. I used the live DVD image which can be downloaded from here. (gqrx was preinstalled in the GNURadio image). This is how I installed the other three tools. 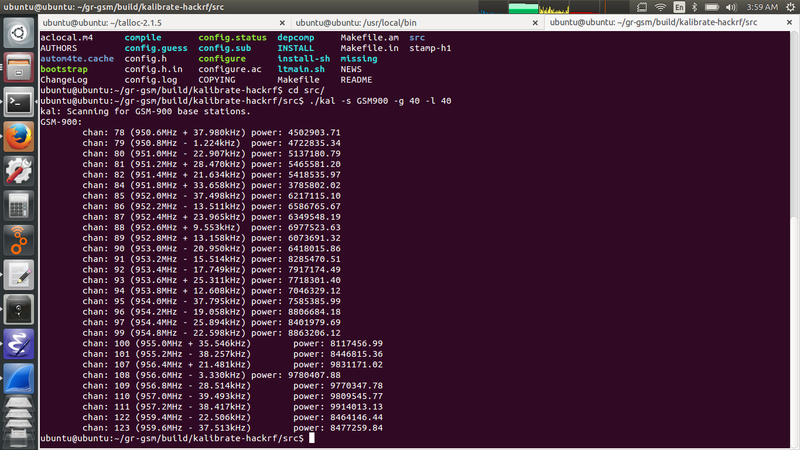 Installing gr-gsm, GnuRadio blocks which is used to decode GSM packets. I had the error "package 'libosmocore' not found", so I had to manually install that package using the commands provided in this site. And during the configuration "No package 'talloc' found" error occurred and I had to download and install it manually with this link. Then inside that folder execute the following commands. Since I used the live bootable image of GNU radio, the gnuradio folder was located in home/ubuntu/src path. We need to set the path of the gr-gsm blocks to gnuradio so we need to create a file called config.conf using touch command. Then enter the following content in it. I did not have permission to edit this file so I had to install gksu and edit the file. 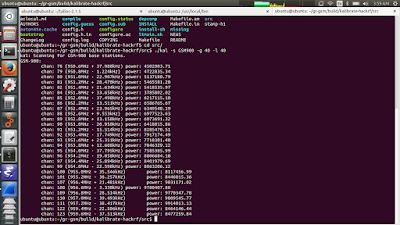 Then go to this folder (~/kalibrate-hackrf/src$) and execute the following command and specify GSM900 and the gain 40. It should show like the following image. Now we are ready with all tools necessary. The interesting part of sniffing GSM traffic is in my next post. Recently I had to use esp8266 modules to do my research on wifi radio tomography. To program them was a challenge because of my lack of knowledge in electronics. It was very new to me and I got a huge support from my research supervisor and research lab friends to do this. Below are the steps I followed and reference I used to understand and program. 2. 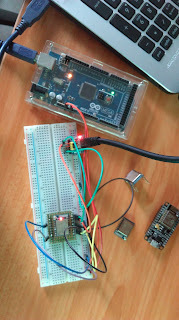 Start the arduino IDE. Open 'preferences' from file menu. 3. Open 'board manager' from Tools->Board menu and search for esp8266 platform. Install it. 4. Select "Generic ESP8266 Module" from Tools-> Board, and select the following settings. 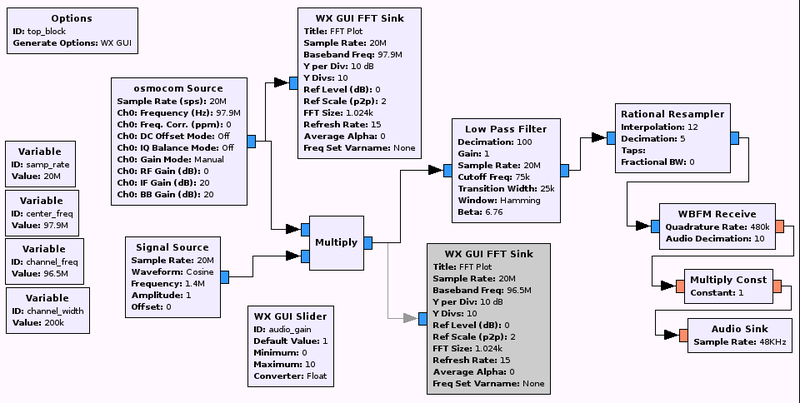 Here is a block diagram referenced when creating a flow graph to listen to FM radio channels in my area. I will explain what each block does here.